Carters Lake Re-Regulation Dam | Just Shooting Memories! Several weeks ago, I convinced my family to try out geocaching (to get to this one, go to geocaching.com and search for “Hidden Pond at Carters”. I thought it would be a fun way to get the kids out of the house. I wanted to do it earlier in December, but that did not happen. So, Saturday, I decided we would have just enough time before the sunset to make it by a local cache. I told the kids we were going for a scavenger hunt. It was pretty cool seeing the children looking for something that we had no idea what it would look like. We found several empty bottles, broken concrete and finally the cache. After finding the cache, we went to the bottom of the dam and I got a few shots. 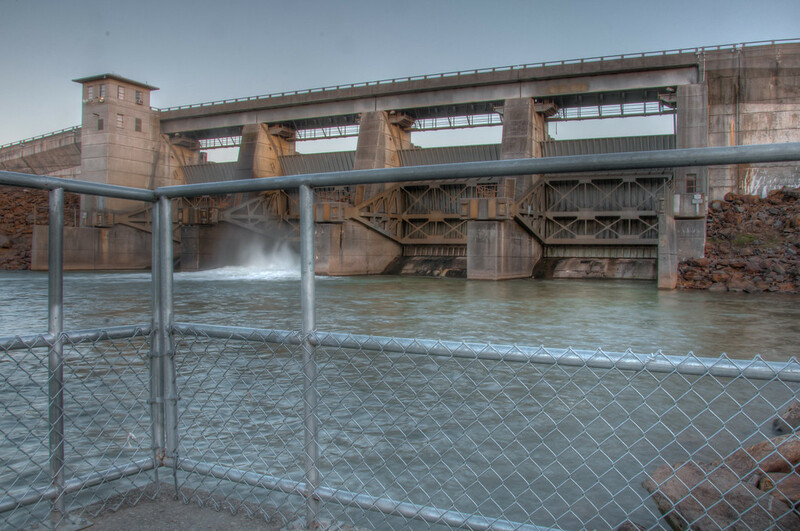 The kids immediately wanted to go to the other side of the dam and find the one which was hidden there.